Ulli & Roger Clarke chose to live in the « Pays de Cocagne » or « Land of Milk and Honey » over 20 years ago. Situated between Toulouse & Albi in the southern Tarn Les Pradailles is an ideal base from which to explore this beautiful & historic region. 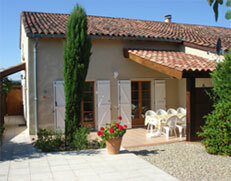 The gite La Grange sleeping up to 8 plus infants. All bedrooms have en-suite bathrooms. 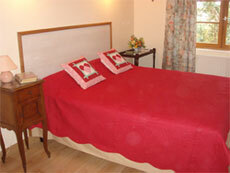 Bed and breakfast is also offered at Les Pradailles in en-suite double or twin bedded rooms with breakfast included.